Where can I park during my visit to the World Chess Hall of Fame? 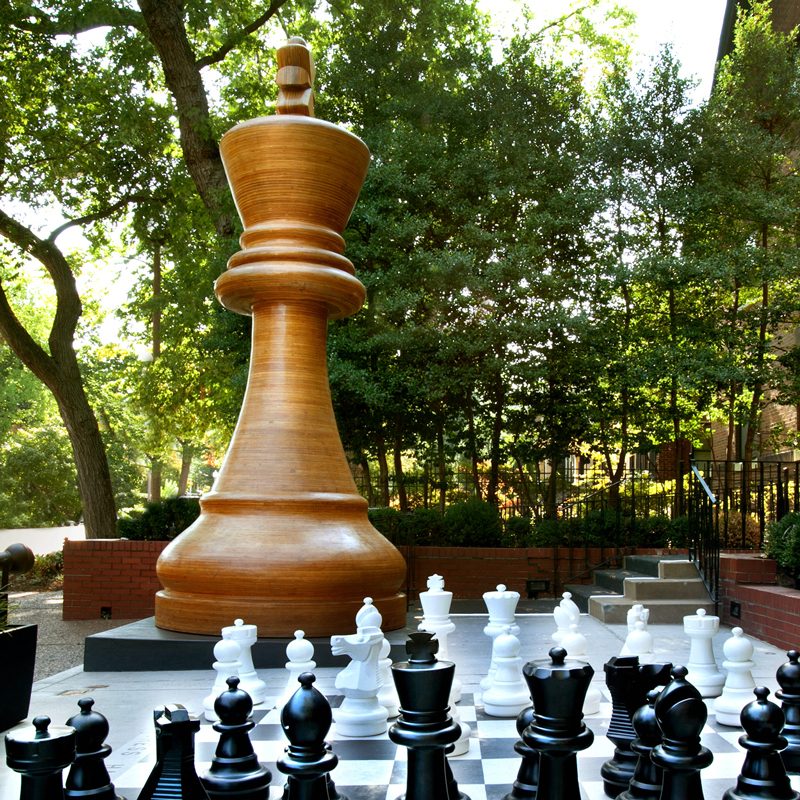 The World Chess Hall of Fame is located in the heart of Saint Louis' Central West End neighborhood. Metered on-street parking is available, as well as a paid lot adjacent to Kingside Diner, which is located at 4651 Maryland Avenue, and at a parking garage adjacent to the Schlafly Branch of the Saint Louis Public Library, which is located at 225 N. Euclid Avenue. How can I find out what my chess set or memorabilia is worth? The Tax Reform Act of 1984 bars museums and other donee organizations from providing appraisals for a donor's tax-deductible object. In addition, many professional codes of ethics prohibit museum staff from providing monetary appraisals. Museums are permitted to provide several sources for a potential donor or other interested party to seek these sources on their own. Please note, the appraisers included in this document appear for informational purposes only and are not endorsed or recommended by the WCHOF. How can I reproduce an image of an artwork or artifact from the collection of the WCHOF? The WCHOF responds to all requests. We have a small staff and typically require a processing time of 20-25 business days for image service requests. Additional charges may apply to requests requiring more than one hour to fill. Please email Nicole Tessmer, Registrar at the WCHOF, for assistance with requests at nicole.tessmer@worldchesshof.org, or call 314.367.9243 (x124). How can I donate an artwork or artifact to the WCHOF? Please email Nicole Tessmer, Registrar at the WCHOF, for assistance with donations at nicole.tessmer@worldchesshof.org, or call 314.367.9243 (x124). If possible, please provide images of the artifacts being considered for donation as well as any pertinent background information. The chief curator Shannon Bailey, under guidance of the Board of Directors, will then determine if the artifact fits within the collecting guidelines and mission of the WCHOF. If you have other questions that aren't listed here, please email us at info@worldchesshof.org, or call (314) 367-9243.